Tiger or Jellyfish - What kind of a parent are you? How effective is Priyanka Gandhi going to be? 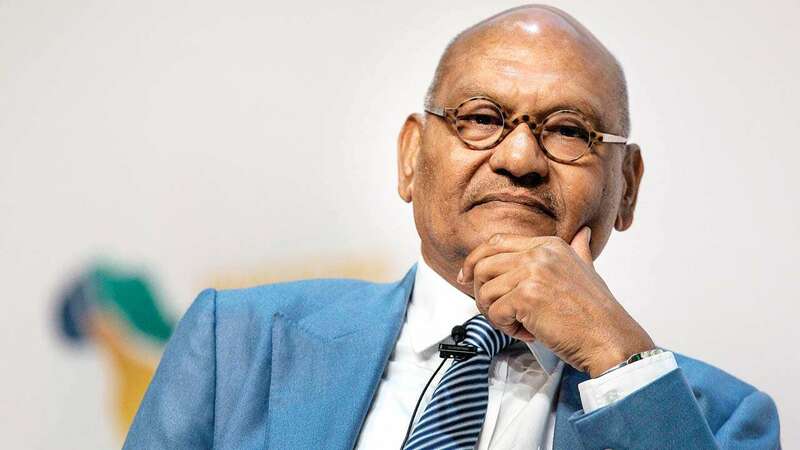 Anil Agarwal, founder and chairman, Vedanta Resources Plc, spoke about the growth expectations of his company and gave suggestions for the new government that would assume power after the general elections to take the country ahead in an interview with Swati Khandelwal. Can you suggest something to the government, at the policy level, to help the country march on the path of development? First, the government should come up with a simple policy to explore the metal resources available in the country. Districts should be empowered to make decisions and the matter must not escalate to the state or central level. However, policy decisions can be taken by the state or the Centre, but when it comes to implementation, then the districts should be empowered to take decisions on different fronts like development of sports, mining, industry, culture. Secondly, banks across the world are willing to increase their microfinance work. So anyone with Aadhaar card should be offered a loan of Rs 2 lakh for the period of seven to eight years, as records suggest that small loans are easily repaid. The loan can help them in starting a business like buying an auto rickshaw or opening a tea stall or buying a buffalo to start milk business. Do you think that the improvement in Ease of Doing Business is visible on the ground; if not, then how we can we improve it? In the case of Ease of Doing Business, the benefits should be passed on and the government must not keep them with itself. Decisions should be taken at one table instead of moving the files from one place to another. Interestingly, half the work will be done if the government companies come out of the government's control. Have a look at airlines, where reforms have helped them become the best in the world; and you can compare them, the private players, with Air India. So, every sector that has come out from the government's control the difference is felt, like in telecom between BSNL and private players. Similarly, have a look at the face of airports. You will find that the sector that has been freed has moved ahead. So the government should stop controlling everything, and play a role of a regulator, and solve the messes. What should the government do to spur growth? I am a businessman and that's why will say, 'trust the business' because business is the backbone is different countries like the US, Russia and China. Interestingly, presidents of these nations only think about business and nothing else. You will have to encourage and support them and say that they have capabilities to grow tenfold from the current levels and they will do it. After all, they, the business people, are greedy, and we should know the ways to control their greed and inculcate discipline in them. This will facilitate growth in the country. In short, you will have to fuel the art of doing business among the business class. For the purpose, you may have to introduce tax reforms and bring something that can stop the creation of black money. GST has already reformed many things. What are your views on new India and employment opportunities? Increasing production of everything eight to tenfold from present levels can help in the endeavour as increased production will lead to setting up of new industries so that the goods are processed. This is a place where people should be encouraged to come out and set up industries. Secondly, India should concentrate on technology and innovation, as the country can do a lot on this front. If you have a look at the technology segment, then you will find that almost all top companies are led by Indian CEOs. I feel an Indian CEO changes the mindset of the company. If these suggestions are implemented by the new government, whoever comes to power, they can increase employment opportunities in India. How would be the performance of your company in this fiscal? We want to produce five million barrels of oil in India, and this means that we want to produce almost 50% of oil that is produced in the country. In addition, we want to produce 70% of aluminium in India. We also want to produce zinc (10 lakh tonne), iron ore (50 million tonne) and steel (4 million tonne). We are working on the plan and designing a budget and will need an investment of around Rs 50,000 crore in the next two years. We have started investing for the purpose. Every company involved in metal and mining, including yours, faces environmental issues on a regular basis. Suggest ways that should be adopted by the government to tackle it? We must have a progressive attitude towards the environment. There are three things related to the environment: best quality of air should be provided; water must not be discharged in a wrong way; and waste management. Interestingly, India is quite conscious about the environment, and I think the country has the lowest level of industrial waste. But I cannot comment on the waste that lies on the road or the smoke that comes out from the farmland. In fact, about 60% of river Ganga has been cleaned and it is a matter of pride. However, the world will not favour India if it starts producing its own oil or minerals or electronic products as they are dependent on India. Controlling pollution at the district level may not create environmental problems in the country. It should be an acceptable level as smoke is generated at almost on all fronts from cooking gas to vehicles. So, they should be within the permissible limit and the norms should be followed by everyone, and those who don't abide by the norms should be punished. As far as we are concerned, Vedanta has emerged as 'For the People, By the People'. We were alone in our fight, but brought foreign funds of $33 billion to India. This helped the government to realise that if a small company like Vedanta can pay a tax of such level than what will happen if ten companies are involved in the production. They may end our problems related to revenues and support us in implementing our plans. Interestingly, everything we got in India through the government was in a bad shape such as the oil blocks allotted to us, which were left by ONGC as they didn't find them usable, but we are producing oil from those blocks. Similarly, they left Hindustan Zinc and we have converted it into the world's largest zinc and silver producing company. We are changing the face of the aluminium company, which was running into losses, into the world's largest aluminium company. In short, we have created an institution that is governed and owned by people, it is not a family-oriented business. I have said that Vedanta's wealth should be used for the benefit of the country and the society. We have developed a model, under which we will create a university that is of Harvard's rank. We are working on it and have bought a piece of land for it in Puri. ©2019 Diligent Media Corporation Ltd.